Being sick in the summer heat is a double whammy. My brain is being boiled from the inside and the outside. Good thing I have this hot Indian curry to even out the temperature in the rest of my body. Oh no… this was a mistaaaaaaaaaa…. 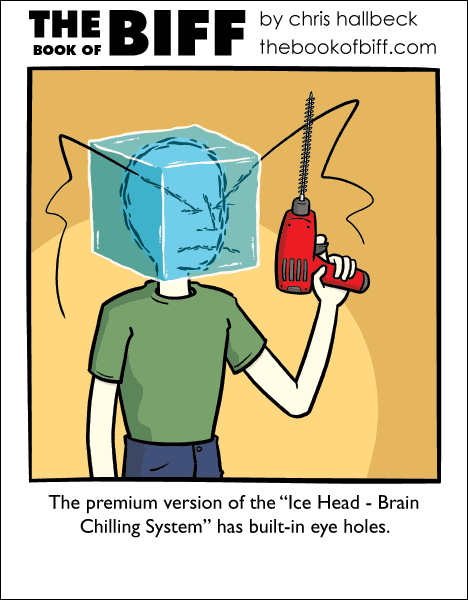 Hot indian curry will clear your sinueses quite efficiently… The scalding tears creates might even cause you to melt eye holes though your low-end “Ice Head – Brain Chilling System just like it was a premium model. Multi-purpose winner! the super premium version has air holes, too.